Collisions are the main cause of death for Canadian children! Ontario’s Highway Traffic Act requires children to use a rear-facing car seat until the child weighs at least 9 kg (20 lb.). This is a minimum requirement. Some rear-facing car seats are made for children that weigh up to 20 kg (45 lb.). It is best to keep your child in a rear-facing car seat until they reach the manufacturer´s weight or height limits. A rear-facing child car seat faces the back of the vehicle, rests at a 45-degree angle and when properly installed, it moves no more than 2.5 cm (1 in.) where the seat belt or UAS strap passes through it. If necessary, use a tightly rolled towel or a foam bar (pool noodle) under the base of the child car seat to adjust the recline angle to 45 degrees. When a child outgrows the maximum height or weight limits of an infant rear-facing car seat, they may move to a larger convertible rear-facing child car seat until the child is ready to face forward. It’s best to keep your child in the rear-facing position until they reach the maximum height or weight limits of the convertible rear-facing car seat. keep your child in a forward-facing car seat until they reach the manufacturer´s weight and height limits. To prevent the child car seat from moving forward and causing injury in a collision, it is important to use the tether strap exactly as the manufacturer recommends. Read your vehicle owner’s manual to find the tether locations in your vehicle and to learn how they must be used. If your vehicle does not have a tether anchor, contact a dealership to have one installed. where the seat belt or UAS strap passes through the child car seat. Make sure the harness straps are at or slightly above the child´s shoulders and are snug, with only one finger width between the strap and the child’s chest. Place the chest clip at armpit level. 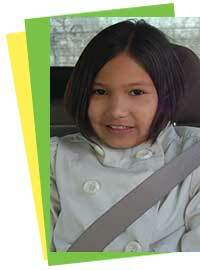 Ontario’s Highway Traffic Act requires children to use a booster seat when they weigh 18 kg to 36 kg (40-80 lb. ), are less than 145 cm (4 feet 9 inches) tall, and are under the age of 8. This is a minimum requirement. It is best to keep your child in a booster seat until they reach the manufacturer’s height or weight limits. Seat belts are designed to protect older children and adults. Booster seats raise a child up so that the adult seat belt works more effectively by properly positioning the seat belt across the child’s body. Booster seats protect against serious injury 3 ½ times better than seat belts alone. A lap and shoulder combination belt must be used with all booster seats. 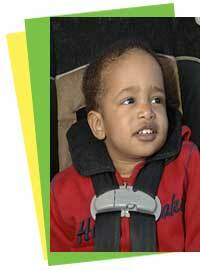 Your child’s head must be supported by the top of the booster seat, vehicle seat or headrest. The shoulder strap must lie across the child’s shoulder (not the neck or face) and middle of the chest. The lap belt must cross low over the hips, not the stomach. Never use seat belt adjusters. to the vehicle seat belt. Make sure the shoulder strap lies across the child’s shoulder and the middle of the chest (not the neck or face), and the lap belt crosses over the hips not the stomach. It´s best to take the child car seat out of the box and install it a couple of weeks before the child arrives. Always follow the manufacturer’s instructions and read your vehicle owner’s manual for correct child car seat installation and use. Be sure to secure the child correctly. 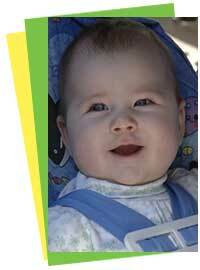 Make sure harness straps are flat and snug.Always use a tether strap with a forward-facing child car seat. Keep children away from all active front air bags. Children 12 years of age and under are safest in the back seat. Avoid using items that did not come with the new child car seat as they may not be safe to use. They can affect the way the car seat reacts in a collision. This includes items such as bunting bags where the shoulder harness passes through it, comfort straps or trays. 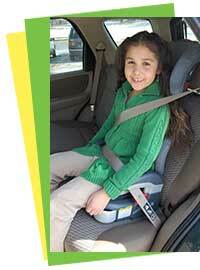 Contact the child car seat manufacturer to ask if the item is safe to use. How Do I Know the Seat is Installed Correctly? Carefully follow the owner's manuals for both your vehicle and the child car seat. 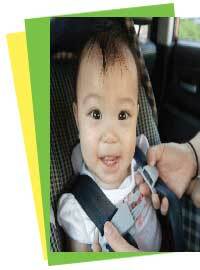 Click here for step-by-step Tips for Installing Child Car Seats with photos. Most importantly, ensure the seat is tightly secured. If you are having difficulty or want to have your child car seat installation inspected, contact your local public health unit. To find a public health unit, check the blue pages of your phone book, call the ServiceOntario information line at 1-800-268-4686, or visit the Ministry of Health and Long-Term Care: Public Health Units. 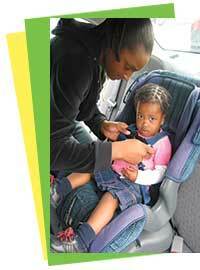 For information on child car seat technician training courses hosted by St. John Ambulance, please visit www.sja.ca.